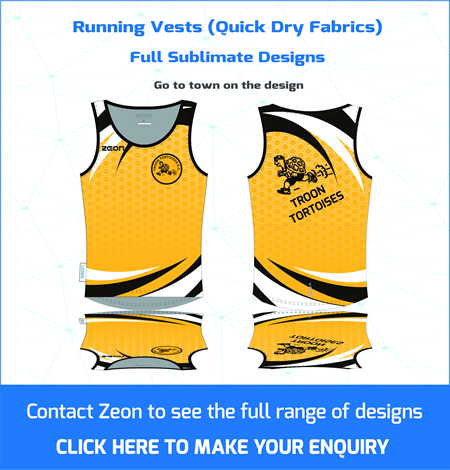 Suppliers of Custom Made Athletics Kits. 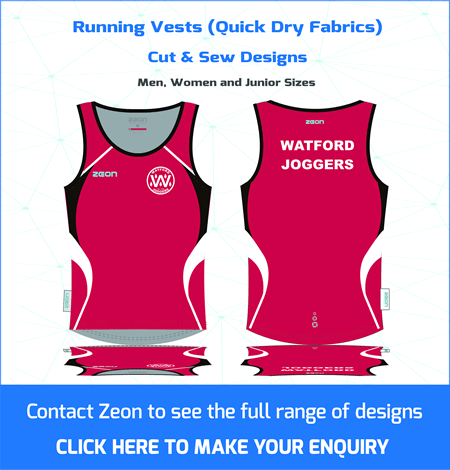 Athletics Vests are Custom Made at our Sedex Accredited* factory in China – Delivery 6-8 weeks. 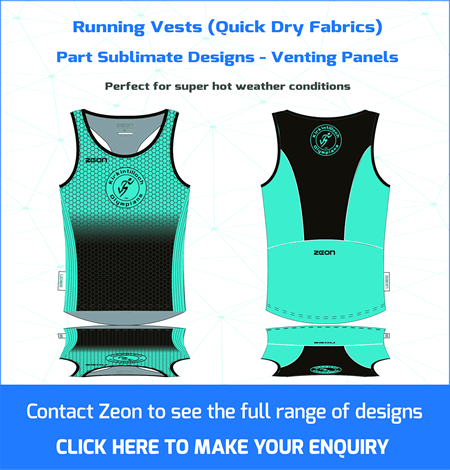 Zeon Running Vests – High Performance – Amazing Designs. 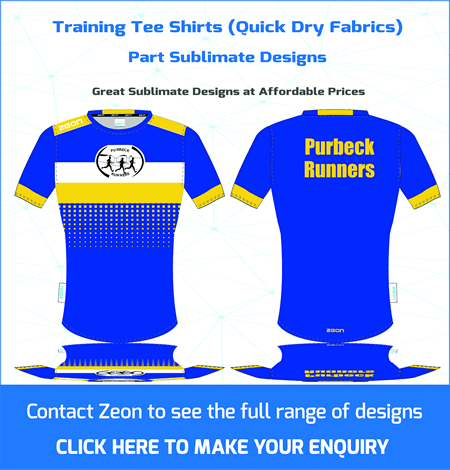 The evolution of the club running vests is really interesting. Fabrics and designs have evolved. 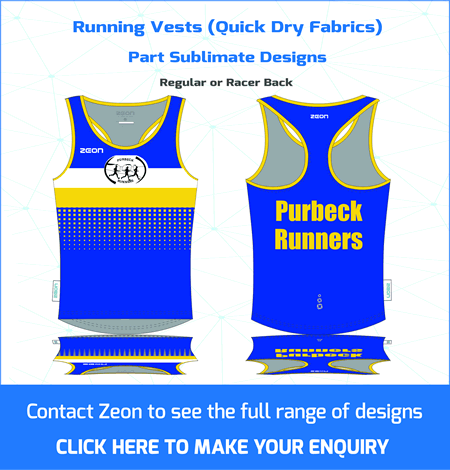 Penistone Runners say their first club vest was hand-made using a white cotton with red and black ribbons pinned to the side. In those days we thought we needed cotton to soak the sweat. 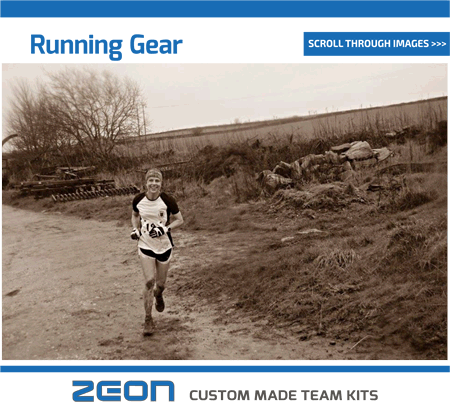 But, as the wet cotton cools, the runners core body temperature drops so effecting performance. We now know the body works at its most efficient at a core temperature of 37 degrees. 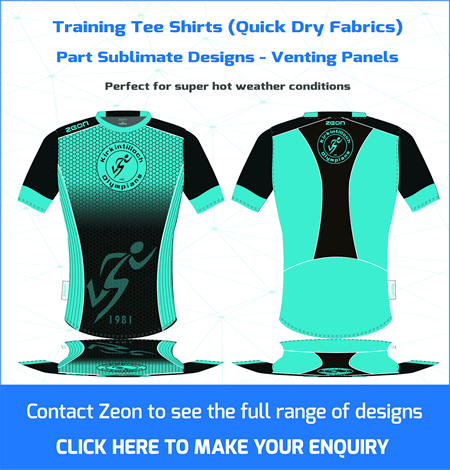 Zeon use lightweight quick dry yarns and sophisticated knits in our fabrics for running vests and tee shirts to help you maintain your core body temperature control. Quick dry yarns reduce absorption moving moisture away from the skin to evaporate into the atmosphere. Specialist knits create venting channels which allow air to circulate close to the body and so maintain maximum breathability. 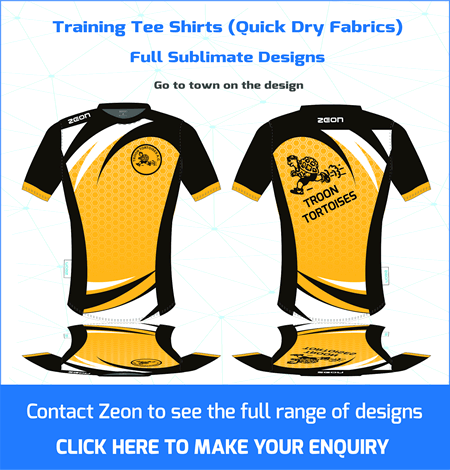 Our latest kit ranges uses the sublimate print process which mean our design team can create amazing designs for your club. 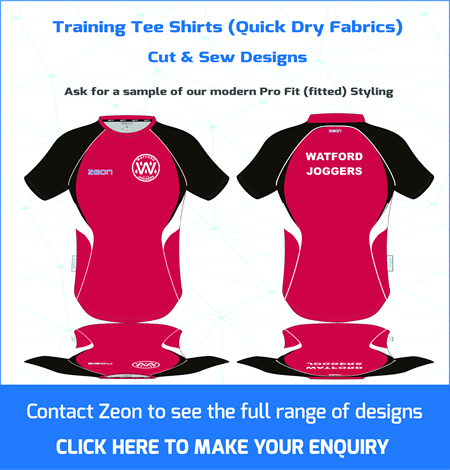 Contact our design team to start the design process – CLICK HERE. 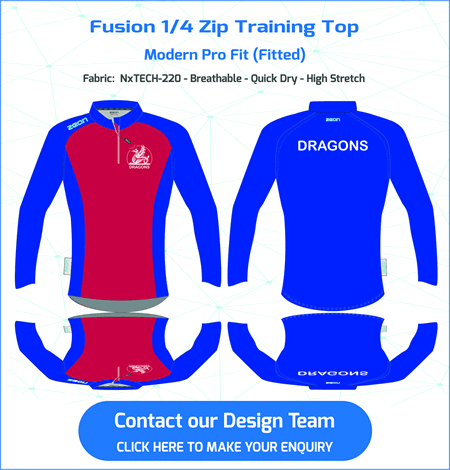 High Performance Training Gear featuring modern club styling, super lightweight fabrics and exclusive Zeon venting panels. 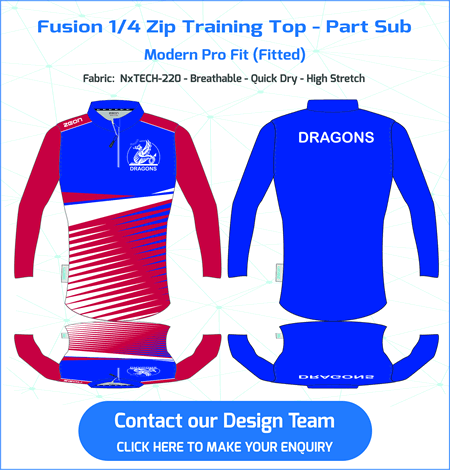 The Future of Baselayers - performance compressions fabrics in your club colours. 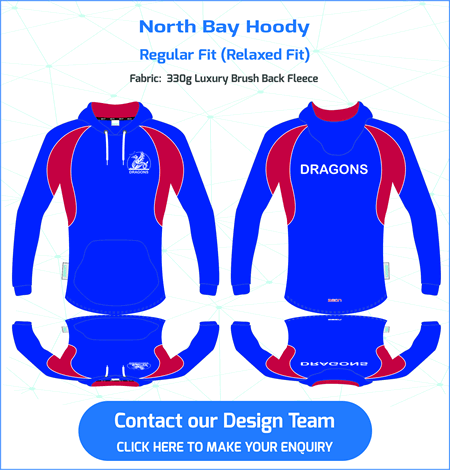 The Future of Hoodies - high performance fabrics.